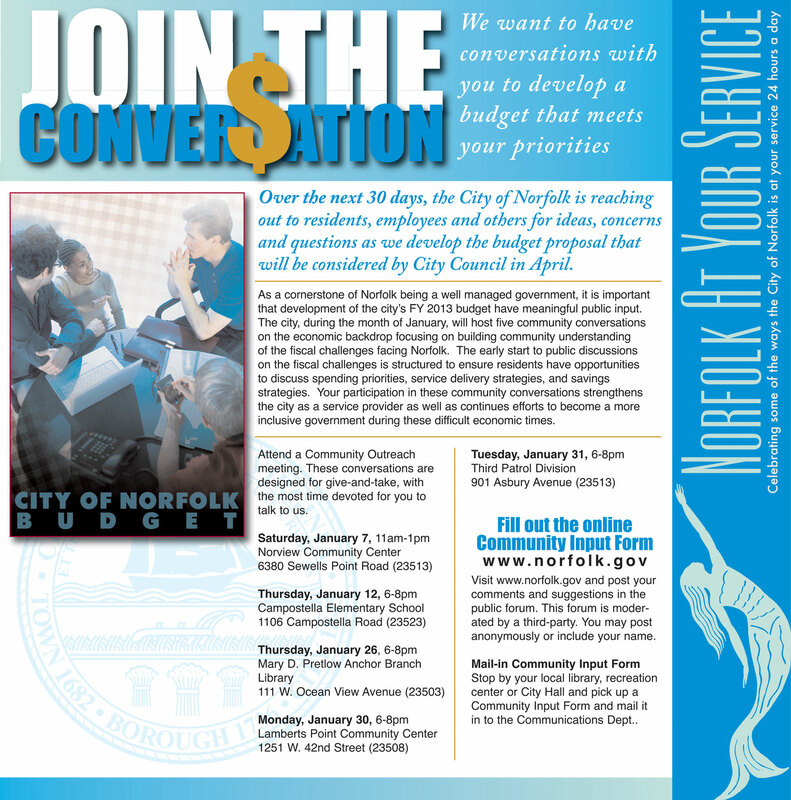 Norfolk is holding a series of Community Outreach meetings over the next month to hear from residents about the budget. The attached flyer (click to enlarge) contains the dates and times. This is an excellent opportunity to have your voice heard on the budget priorities. I encourage all of Norfolk to attend one or more of the meetings. Missy – I looked around and couldn’t find it, either. I’m told that it is going to be available tomorrow (Friday). The City Manager’s informed me that they are working on the last part of the web site that will handle public comments. It should be ready tomorrow afternoon.